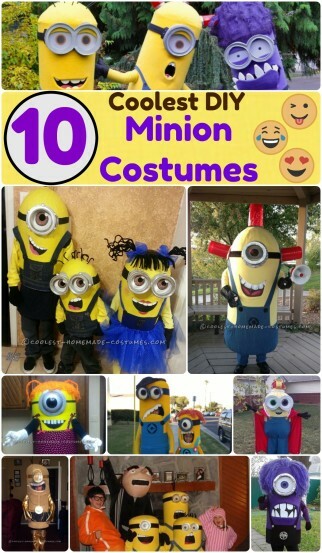 Get into some costume mischief this Halloween with these awesome Minion costume ideas! Reactions to these homemade costumes included screams of joy and many photo ops for the costume wearers. 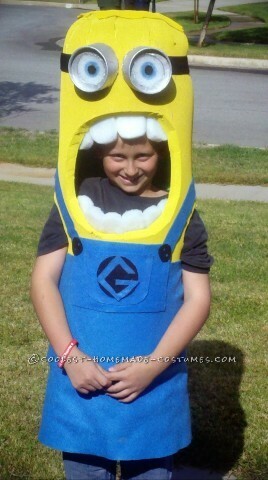 These irresistible, banana-loving creatures will ensure your Halloween costume is anything but despicable. So, take a look at this collection for the best, fun-loving, DIY costume inspiration. Made with inner tubes and fans to keep cool, this was an attention-grabbing and award winning homemade costume. Jeannette created these awesome DIY costumes from paper mache, sour cream cups and foam sheets. 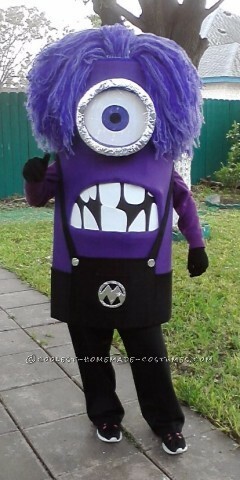 Check out the progress pictures on this super fun purple minion costume. 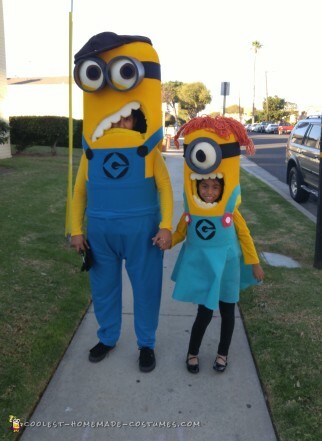 Try this breathable version of a Minion DIY costume. 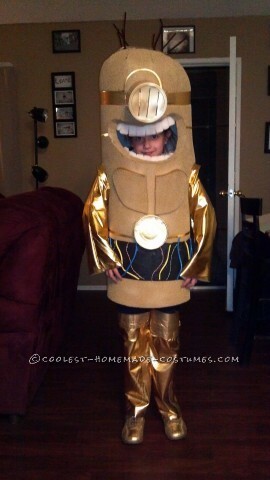 Stacey succeeded in creating the perfect costume for her son with sensory issues. 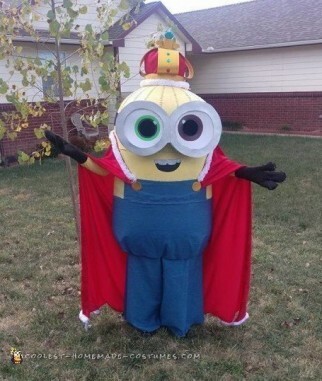 Made by a mom for her son, a school teacher, this Carl BeeDoo homemade costume was a huge hit! This costume was a labor of love, taking 3 months to construct. Who doesn’t love a great mash-up costume? Check out photos of the whole family costume as well as detailed tutorials here in order to make these awesome DIY costumes! 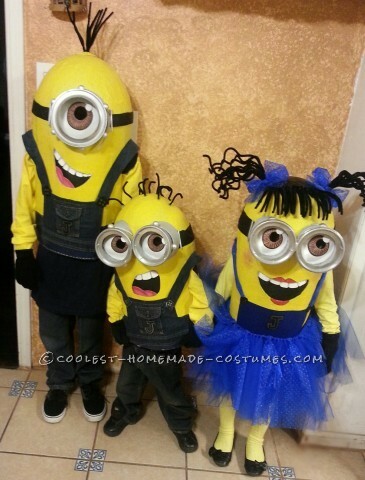 Another fun family who loves to get into the Halloween costume spirit, all voted on Minion costumes this year. Take a look at the parents and all seven of their kids decked out in these amazing homemade costumes. 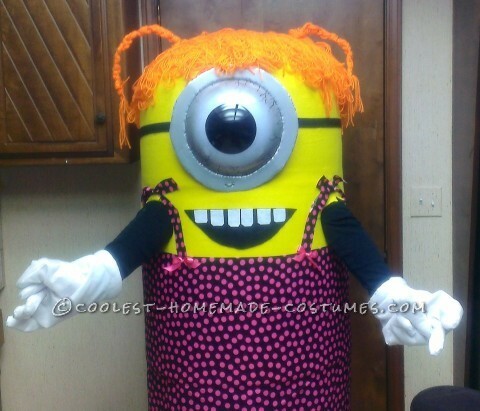 For a feminine take on a Minions costume, you must see the homemade costume here. 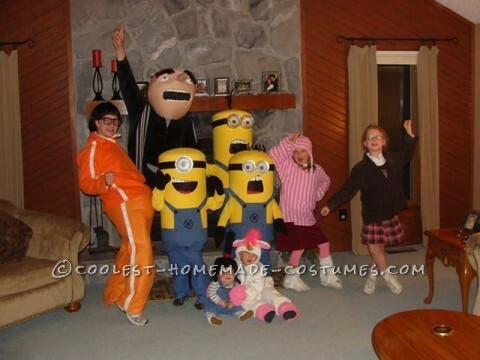 Dressing up in Minion costumes is always more fun in a group. 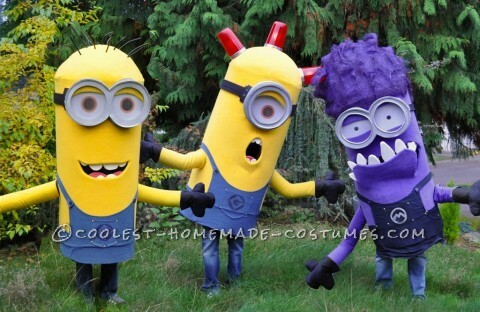 Check out this awesome tutorial to create your best homemade costumes this Halloween. 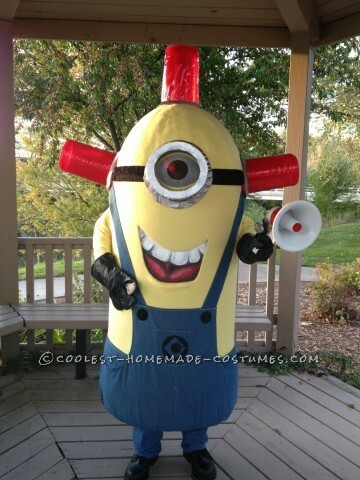 For even more homemade Minion costume inspiration, check out over 100 costumes here. So, which will you choose for your Halloween costume?